Ward furniture is more than just furniture. Whether patients and visitors are spending one night or months on the ward it is important to ensure their comfort. Here at Renray, we consider all types of patients when we are designing and building our furniture. With over 50 years of experience, we can guarantee that our ward furniture solutions are of the highest quality and comfort. We understand that not only does furniture need to offer the patient comfort but it also needs to be able to withstand the day to day stresses and strains that are present in a ward. 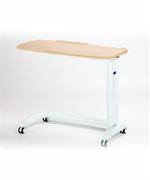 As an approved NHS supplier, all our ward furniture has been designed to meet requirements of hospital environments and modern healthcare. This includes addressing any infection control issues, manual handling and pressure sore risks. Whether you are looking for bedside patient lockers, visitor seating, overbed tables, beds or even patient seating, we have everything you could need and want. Additionally, all ward furniture from Renray is available in a wide variety of fabrics, colours and finishes to suit your tastes. If you’re struggling to decide what furniture you need, our experienced staff are always available and willing to offer their knowledge and comprehensive advice to help you find the most suitable ward furniture. View our full case studies including Ayrshire Mental Health Hospital. 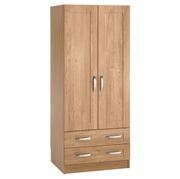 You can also see the full range of ward furniture we have available here’. For more information on the ward furniture, we have to offer call 01606 593 456, email info@renrayhealthcare.com or fill in the contact form and one of our team will be happy to help you further. Alternatively check out our brochures here.